There are 24 Memory Care Facilities in the Cambridge area, with 1 in Cambridge and 23 nearby. The average cost of memory care in Cambridge is $5,925 per month. This is higher than the national median of $4,650. Cheaper nearby regions include Boston with an average starting cost of $4,000. To help you with your search, browse the 20 reviews below for memory care facilities in Cambridge. Better rated regions include Boston with an average rating of 5.0 out of 5 stars. Caring.com has helped thousands of families find high-quality senior care. To speak with one of our Family Advisors about memory care options and costs in Cambridge, call (855) 863-8283. Located northwest of Boston, Cambridge has an estimated population of 113,630 with seniors representing one in every 10 residents. 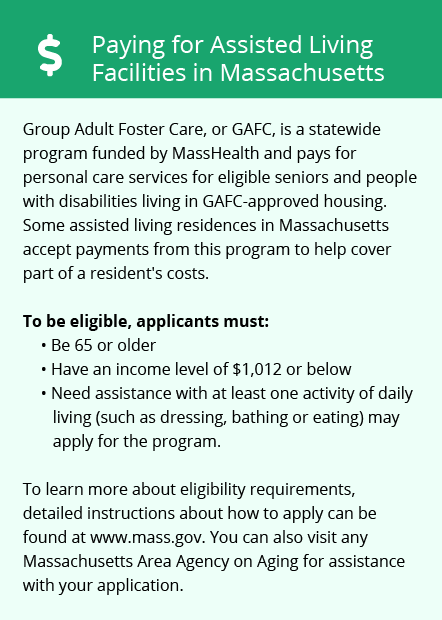 Adults in the city who require memory care for Alzheimer's disease and dementia have access to a wide array of Dementia Special Care Units that are required to meet staffing, management and planning standards established by the Massachusetts Division of Health Care Facility Licensure and Certification. Cambridge is home to several memory care facilities, and more than 120 additional options are located within Greater Boston. Statewide, 120,000 residents have been diagnosed with Alzheimer's disease, and that number is projected to increase substantially in the coming years, increasing the need for memory care in cities like Cambridge. Cambridge and Greater Boston are home to several world-class medical facilities specializing in brain health and dementia care, including Boston Medical Center, Beth Israel Deaconess and The Center for Memory Disorders and Conditions of Older Adults at Tufts Medical Center, in the event of medical emergencies or illnesses. The cost of living in Cambridge is 68 percent higher compared to the rest of Massachusetts and twice as high as the U.S. average. Although housing accounts for the majority of the added expense, health care costs are 17 percent cheaper than the national average. Additionally, Cambridge residents have access to well-funded community service programs as well as cutting-edge medical research opportunities. Massachusetts is generally regarded as a tax-unfriendly state for retirees, but residents 65 and over qualify for some tax breaks. Although distributions from IRAs, 401(k)s and private pensions are taxed at the standard rate, Social Security retirement benefits and civil-service pensions are exempt from state-level income tax, which can help residents manage the cost of memory care and medical treatments. Cambridge has a low to moderate crime rate. The number of property crimes and violent crimes is slightly higher than the U.S. average but substantially lower than most neighboring areas. For example, Cambridge has a violent crime rate of 33.4 versus 71.9 for Boston. Additionally, memory care wards typically have restricted access for safety and security. Memory Care costs in Cambridge start around $5,925 per month on average, while the nationwide average cost of memory care is $4,799 per month. It’s important to note that memory care rates in Cambridge and the surrounding suburbs can vary widely based on factors such as location, the level of care needed, apartment size and the types of amenities offered at each community. Cambridge and the surrounding area are home to numerous government agencies and non-profit organizations offering help for seniors searching for or currently residing in an assisted living community. These organizations can also provide assistance in a number of other eldercare services such as geriatric care management, elder law advice, estate planning, finding home care and health and wellness programs. To see a list of free memory care resources in Cambridge, please visit our Assisted Living in Massachusetts page. 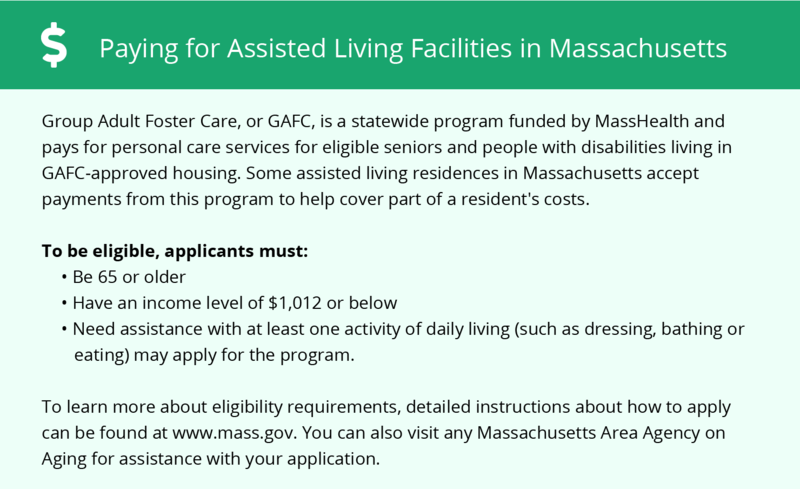 Cambridge-area assisted living communities must adhere to the comprehensive set of state laws and regulations that all assisted living communities in Massachusetts are required to follow. Visit our Memory Care in Massachusetts page for more information about these laws.